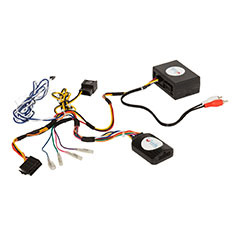 Radio wiring harness with Can-Bus reader for ignition, illumination and steering wheel retention. Also had Most fiber optic interface box. This is the best window mount antenna we have found. It's made by an italian company and it blows away everything else we have seen on the market.